Mrs. Sue Horton Miller passed away peacefully Saturday, January 12, 2019 in Rome, GA. She was born in Carroll County on March 14, 1941 to Winston and Maiden (Patterson) Horton. 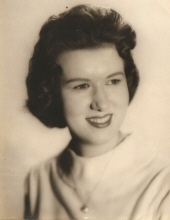 She attended Carrollton City Schools and graduated from Carrollton High School in 1959. She briefly attended West Georgia College before working for Bell South. She met and married Max Kenneth Miller, Sr. of New Georgia. They were married 55 years, and were lifelong residents of Carroll County. Mrs. Miller worked at Sewell’s in Bremen for many years, then ran a business with her husband until they retired in 2006. Mrs. Miller is survived by her four children; Phyllis Miller Luttrell and Chris Luttrell of Rome, GA; Max Kenneth Miller, Jr. and Debra Culley Miller of Jacksonville, NC; Beth Miller Carnes of Whittier, NC; and John P. Miller and Laura Southern Miller of Whittier, NC, as well as her Boston Terrier, MS Daisy Miller of Rome, GA. Mrs. Miller is also survived by a sister and brother-in-law, Lynn and Terry Teel, and a sister-in-law, Sandra Horton, as well as numerous nieces and nephews. Additionally Mrs. Miller has seven grandchildren: Joseph and Danielle Nelson, Daniel and Maria Nelson, Breanna Miller, Christopher Miller, Geneava Fellah-Miller, Madelyn Miller and Winston Miller, as well as two great-grandchildren: Jerry and Joey Nelson. Mrs. Miller was preceded in death by her husband, Max Kenneth Miller, Sr., her parents, Maiden and Winston Horton, and her brother, Billy A. Horton. Funeral services will be conducted Saturday, January 19, 2019 at 12 PM at the Tabernacle Baptist Chapel, with a visitation prior to from 10 AM- 12 PM in the foyer area of the chapel. The Reverend Fred Cooke, and Mr. David Leak will officiate. Honorary pallbearers will be Brian Horton, Brett Teel, Dave Worley, Larry Kemp, Laroy “Butch” Wolfe, Ronnie Carnes, Joseph Nelson and Daniel Nelson. In lieu of flowers the family requests donations to the Tabernacle Women’s Sunday School Class at Tabernacle Baptist Church in Carrollton, GA.
To plant a tree in memory of Sue Horton Miller, please visit our Tribute Store. "Email Address" would like to share the life celebration of Sue Horton Miller. Click on the "link" to go to share a favorite memory or leave a condolence message for the family.